Whereat Legacy to Live On. Great opportunity to see what treasure you may have dug up in your garden! Get closer to Nature at the Corinium Museum! 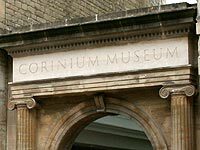 Corinium Museum and Cirencester College Score 10! Night At The Museum Comes to The Cotswolds!